Believe it or not, I’ve been there. There was a time in my life when I was running more than 25 miles per week, lifting weights, and doing CrossFit, and watching that infuriating little red ticker on my scale NOT BUDGE AN OUNCE. Here I was, legitimately exercising at a high intensity at least 2 hours per day and not losing weight. Seems impossible, right? How could adding more exercise produce results that are the exact opposite of exercise? So….here’s the thing, guys. Remember my 80/10/10 theory (if not, read all about it here)? The basic idea is this: only 10% of the way your body looks in terms of fat-to-muscle composition comes from the gym. The other ten percent comes from genetics (hey, don’t fight Mother Nature). And the remaining EIGHTY (eight-zero) percent comes straight from what you put into your mouth: your diet. Focus on the first and last columns. Anyone who’s lost a significant amount of weight without illness or surgery will tell you, if they’re being honest, that it’s making a radical dietary change that made the final difference in watching the scale go down, down down. Social media, pop culture, and fitness magazines do their best to tell you that it’s “gettin’ swole” in the gym or doing some particular sort of workout that’s going to make your six pack pop – when in reality, dropping carbs for a week will do more for your abs than a thousand crunches ever will. BE. CONSISTENT. Above all, you need to be consistent in your diet and exercise routine. As you know, I am a big fan of intermittent fasting (IF), and the reason it works for me is because I do it every day. Maybe IF isn’t for you, but maybe the four-hour body is. Maybe my style of working out (mid-distance running interspersed with traditional weight training and twice-per-week obstacle training) isn’t for you, but Pilates is. I am not as concerned with WHAT clean-eating plan you’re following or WHAT workout you’re doing, as long as you’re not doing it a couple days a week and acting “shocked” when results aren’t there. Success is a full-time gig, my friends. TRACK & CONQUER INFLAMMATION. Especially when picking up the iron for the first time, a lot of my clients experience a great deal of muscle soreness and inflammation, which can lead to skipping workouts, poor sleep quality, and just general feelings of OUCH. I wrote a whole blog on how to get over this initial exercise adaptation (so hey, I’m not gonna repeat myself too much here) but just know this: if you don’t reduce inflammation in the body, your brain doesn’t receive enough of the leptin hormone (yep, the one that controls and regulates your appetite), and you end up hungry & tired. DROP THE WHITE STUFF. Speaking of eating, the three food “groups” (eye roll) you can let go in a jiffy if you’re honestly trying to cut fat are sugar, flour and salt. Point blank. These three ingredients (especially when consumed to excess) are poison to your system, dull your skin, slow your metabolism, clog up your bowels, and worst of all, make you fat. You know what DOESN’T make you fat, in the ultimate irony? FAT. You can even lose weight drinking liquid butter for breakfast – but not if you can’t drop the croissants. DIURETIC YOUR DIET. A lot of us retain a lot of water (per the above, often due to overzealous salt and sugar intakes) that in turn makes us have the “appearance” of chubbiness even when body fat is not that high – think puffed-up cheeks, swollen hands and feet, and distended bellies. If you are one of these people (and hey-o, I am too! ), diuretic foods and beverages can be your best friend. Granted, you don’t want to lose all the water in your system and you need to stay super hydrated throughout the day for diuretics to be healthy and effective, but integrating diuretic foods can help beat the bloat and give you a slimmer, tighter appearance almost instantly (definitely a fitness-model trick for photoshoot day, believe you me). Here’s a list to help you figure out what to eat. Finally, USE YOUR GYM TIME WISELY. Most of us don’t have hours to slog away on the treadmill and per my above points on inflammation, appetite, and weight loss – you don’t want to be doing that anyway. Building more muscle is the surest way to make your body a lean, mean, metabolic-functioning machine, and building more muscle comes from a combination of eating enough protein and 3-4 sessions per week of lifting heavy weights (ladies, you too). Add in a day or two of HIIT-style cardio to shed a little more fat and bingo – your kick-started fat loss journey has begun. What’s worked for you in terms of body fat loss – and if you’ve never needed to lose weight, what are your best stay-slim strategies? If you haven’t heard of “bulletproofing” your morning coffee, you’re not alone. Whenever I casually toss it out in a group of my non-trainer, non-nutritionist friends I get weird looks, similar to when I assume that everyone knows what a burpee is or how to interpret the acronym AMRAP. It sounds high-tech, a little dangerous, and kind of gimmick-y. And so, even though bulletproof coffee is on the menu for only five bucks at one of my favorite little coffee bars in Singapore, I doubt the majority of folks that go into that place even have a clue what it means – or why it is such an amazing, valid, and useful food-beverage hybrid. At its simplest, bulletproof coffee is simply a high-quality coffee mixed with coconut oil and butter. Yes, you heard me right – you put a ton of plant and animal fat in your coffee, then you swig it down all thick and creamy-like. As you can imagine, it is not a low-calorie treat, it is not for the faint of palate, and it is (in my personal opinion) one of the most g*ddamn delicious ways to enjoy your morning cuppa joe. Bulletproof coffee has come up on this blog briefly, once suggested as an alternative to the skinny vanilla latte (or any other sugary blended beverage, to be honest) and once as a recommended part of a balanced breakfast. But I’ve never actually gone into the nitty gritty of what bulletproof is, why it matters, and how you can give it an honest try. First of all, true bulletproof coffee isn’t just a bean/oil/butter combo. It’s a very specific “upgraded” black coffee, “brain octane” MCT coconut oil, and grass-fed clarified butter (like ghee). A man named Dave Asprey went on a Himalayan trek during which all they were given for breakfast was a steaming hot cup of strong coffee with yak’s (very fatty) milk, and he found that it not only helped him stay full and sustain his high activity level throughout the trekking day, but that it was also helping him lose body fat – a very notable development indeed. Upon returning, he did some experimenting and came up with the bulletproof recipe – and its central claim that it puts the body into ketosis (burning fat for fuel, aka that thing we’re always trying to get our metabolisms to do). While this claim has yet to be backed by any actual science (sorry, Dave), there is great evidence to the fact that MCT oil (i.e. one-third of the bulletproof formula) helps send the body into ketosis all on its lonesome, which combined with the satiety provided by the butter and the caffeine boost from the coffee can make for one helluva satisfying breakfast drink. So what do I personally think of it all? As a committed intermittent faster, I am a huge fan of “using” bulletproof coffee to get you over the hump of no longer eating breakfast (a huge transition for a lot of those new to IF). Sure, it’s a bit of a cheat, but because the ketonic effect of MCT complements the ketonic metabolic goals of IF in general, I call it a win-win – you feel good, you wake up, you stay full, and you can push your fast a little longer than you might otherwise. On the contrary, bulletproof coffee is still just coffee, and if you’re the type of person who needs to chew in the morning, it probably won’t take over your usual breakfast food – and shouldn’t be added on to what you’re eating due to the fact that it’s a nearly all-fat, nearly 500-calorie little beverage. Some rogue bulletproofers have experimented with adding egg whites or protein powder, making for a more meal-like experience, albeit at the expense of the purity of the main ingredients. And don’t forget that texture here is absolutely crucial – you need to put the ingredients in a blender (nor stir with a spoon) to get the full experience of deliciousness. In my humble opinion, if you have normal cholesterol and don’t feel the need for a sweet, food-filled breakfast, bulletproof could be an absolute breakthrough for you – and it’s definitely something worth giving a whirl (pun intended) in your morning routine. What do you eat for breakfast? Are you a coffee person, bulletproof or otherwise? I am sitting here drinking a glass of Dry Riesling (from our amazing wine club, by the way) and digesting the amazing salmon I just had courtesy of Blue Apron. What’s Blue Apron, you ask? Well, let me tell you a story. Those of you who know me “IRL” (in real life, Mom) know that I am somewhat resistant to new ideas that aren’t my own. For example, when I love a product or service, I will recommend it to everyone I know – and sincerely hope they take my advice on it. But when someone suggests something to me – especially if it involves any sum of money – I will almost always pooh-pooh it. It’s like a reflex. I’m not proud of it, but it happens. The basic idea is this: with either service, you pay a delivery fee ($12-15 per plate for Plated; $60 per 6 plates for Blue Apron), you receive fresh, properly portioned, organic, whole ingredients to your doorstep (packed in individual, labeled packaging inside a cooler with ice), and you learn how to prepare it using a (detailed, full-color) recipe card. Sounds like fun, right? It is! We tried Blue Apron first, indicating that we were “omnivores” in our profile, and in the first week (all three meals get delivered on Tuesdays) we received Lamb Ragu, Parmesan-Crusted Chicken Kale Salad, and Rice-Cake Crusted Salmon. 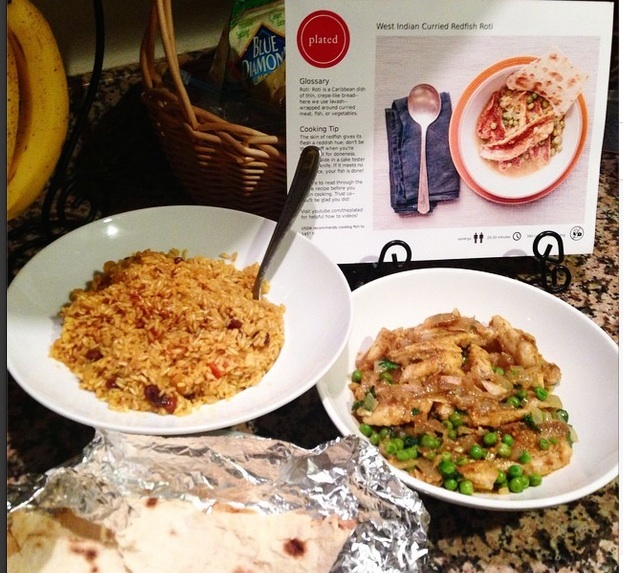 The following week, with the same lack of dietary restrictions, we went head-to-head for comparison with Plated (two meals only), and received Redfish Roti and Asian Duck Tacos. What pushed it over the edge for me (besides price and recipe diversity) is that Blue Apron recently partnered with Top Chef, my favorite reality show, and offers a service wherein you can get the ingredients and recipe for the show’s winning recipe delivered to your doorstep two weeks after it airs. How cool is that? Now I feel like a baller whipping up the meals that pro chefs create – without the fear that I am messing up or wasting expensive ingredients. It’s a win-win for amateur but creative cooks like myself. 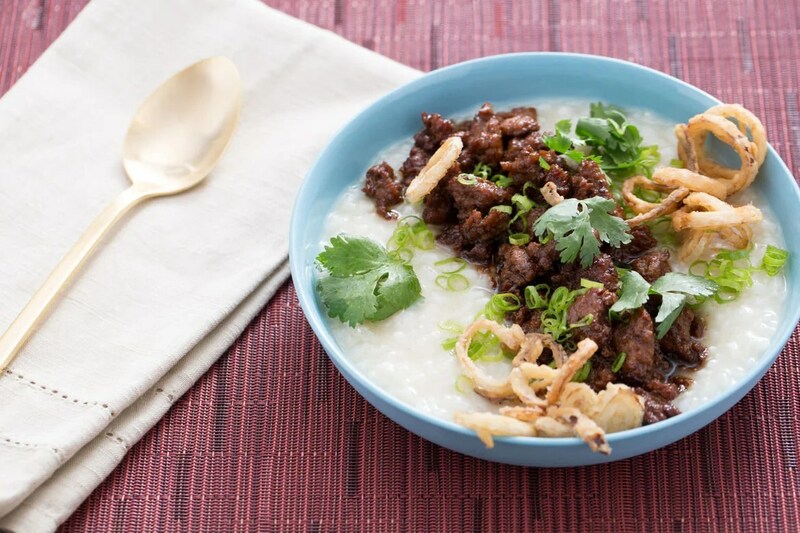 Have you ever tried a recipe delivery service? 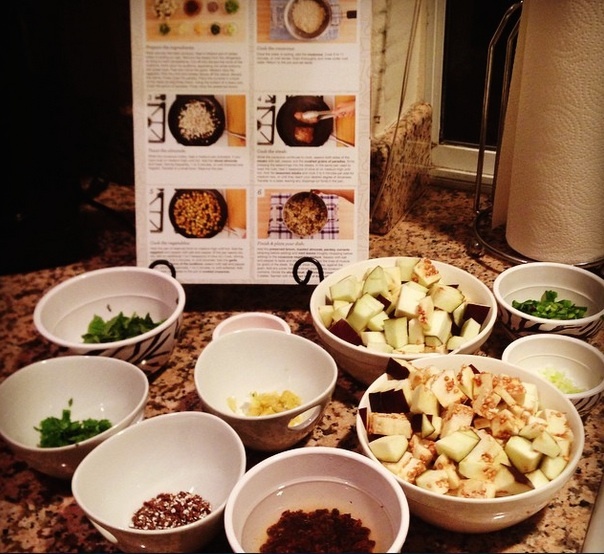 If you’re an avid home cook, where do you find new ideas for recipes/ingredients? A loyal reader asked me to break down a day in the life of a personal trainer – when I wake up, what I do all day, and how I stay fit. Those of you who are also independent consultants like me know this: there is no typical day. Each one is different, and plan as we may, days tend to take very different courses depending on cancellations, traffic, and a host of other “unpredictables” as the hours roll by. Create a recurring blogging event on your site, and/or make plans to attend a blogging conference. Besides looking up blogging conferences in my area (not too difficult seeing as I’m in Los Angeles), I am hoping to draw some inspiration from my daily life to create a recurring but meaningful blog event (think World Fitness Day, or American Clean Eating Month [don’t take my idea – this may happen! ], or something we can all participate in for the greater food). What does your #dayinthelife look like? 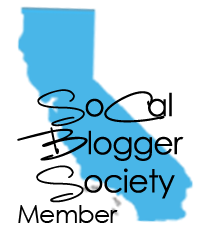 If you blog, what’s your favorite blogging event and/or conference?